Discover a park or forest near you! 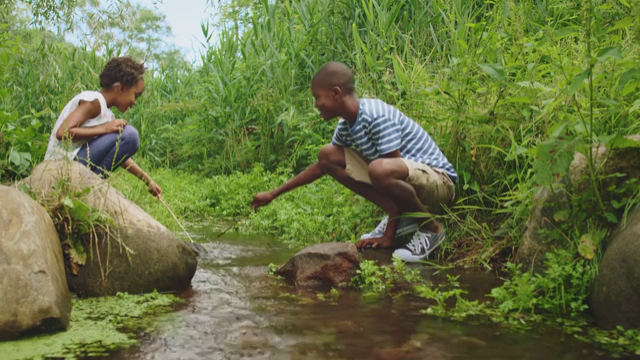 Washington, D.C., September 7, 2017: To motivate parents and their children to spend more time in nature together, the U.S. Forest Service and the Ad Council today launched a new public service advertisement (PSA) campaign urging families to experience the many wonders of nature close to home together. The PSAs, created in partnership with The Foundry, Time Inc.’s state-of-the-art creative lab and content studio, focus on family time in nearby forested environments, reminding parents that having a nature experience with their children is not only easy and local, but also fun and full of learning opportunities and benefits. This is the first time that the Ad Council has worked with the creative division of a media company that has iconic roots in publishing on a large-scale production on behalf of one of its PSA campaigns. A range of Time Inc. properties are also donating print and digital advertising space in support of this campaign. The new TV, print and digital ads target African American parents with children ages 8 to 12. 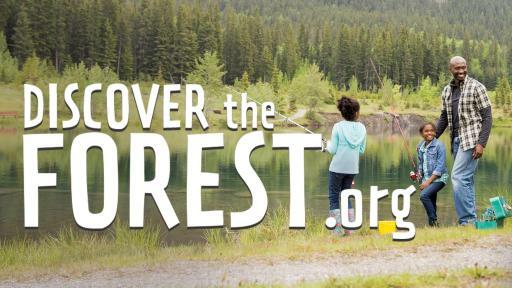 The PSAs feature a family who uses DiscovertheForest.org to find a local forest close to home and explores nature together without any of their normal everyday distractions. 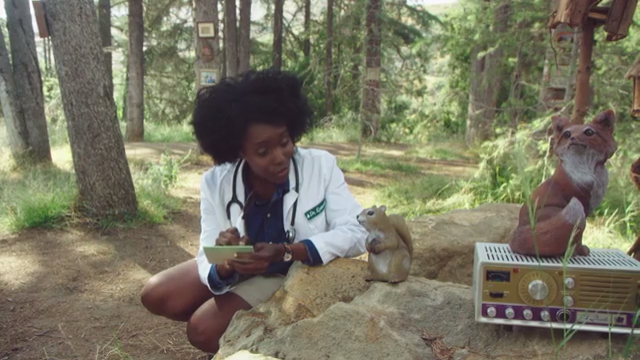 The ads’ nature scenes feature a clever play on familiar social media related terms like “tweet,” “streaming,” and others to highlight the natural adventures that await parents and children outside when they disconnect from technology for a while. The family exits the forest feeling energized and more connected, not only to nature and the outdoors, but also to each other. Clear Channel Outdoor, one of the world’s largest outdoor advertising companies and a longtime Ad Council partner, is also partnering with the Ad Council and the U.S. Forest Service to amplify the campaign’s message even further in major markets across the country with printed out-of-home creative and targeted dynamic digital ads designed by Clear Channel. Pinterest has partnered with the Forest Service and the Ad Council to create custom content for the Discover the Forest Pinterest channel and will support the campaign via donated media on the platform. 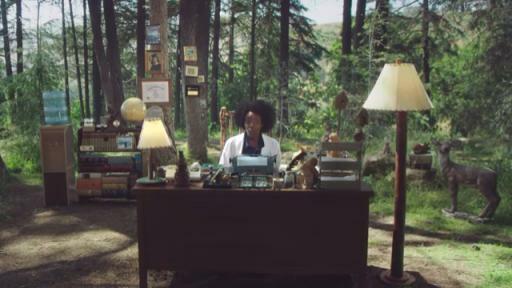 Last month, the Forest Service and the Ad Council also partnered with Facebook’s Creative Shop to launch a series of PSAs featuring Dr. Spruce, a quirky, nature-loving doctor -- not a medical doctor-- who lives in the forest and is passionate about nature. The United States Forest Service launched the Discover the Forest campaign in partnership with the Ad Council in 2009 to inspire children to develop a love for the outdoors. The campaign has amassed more than $369.7 million in total donated media support since then, and an astounding 10 million users have visited DiscoverTheForest.org since January 2014. According to a recent Ad Council survey, 83% of parents with children ages 8 to 12 agree that taking their child to a forest or park is something they would like to do more often, and 78% of parents with children 8 to 12 agree that finding time to take their child to a forest or park is personally important. The Ad Council is distributing the new PSAs to media outlets nationwide this week, and the PSAs will run and air in advertising time and space donated by the media. The U.S. Forest Service (www.fs.fed.us) manages 193 million acres of national forests and grasslands for the American Public. Its mission is to sustain the health, diversity, and productivity of the Nation’s forests and grasslands to meet the needs of present and future generations. The U.S. Forest Service is the agency responsible for overseeing the use of Smokey Bear in cooperation with the National Association of State Foresters and The Advertising Council. Clear Channel Outdoor Holdings, Inc. (NYSE: CCO) is one of the world’s largest outdoor advertising companies, with more than 650,000 displays in over 35 countries across five continents, including 43 of the 50 largest markets in the United States. Clear Channel Outdoor Holdings offers many types of displays across its global platform to meet the advertising needs of its customers. This includes a growing digital platform that now offers over 1,200 digital billboards across 29 U.S. markets.